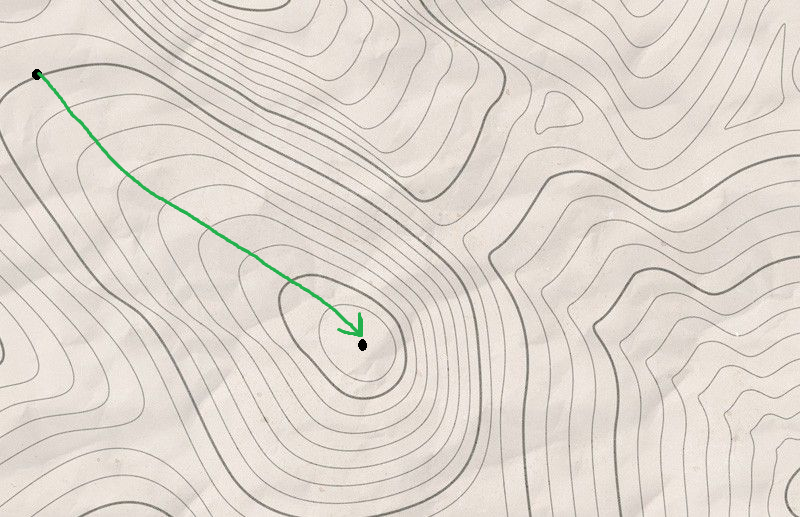 This assessment will test your topography skills. Please enter your first and last name. Answer every question asked to the best of your knowledge. Some questions will ask you to draw a route you would take. Use your mouse as a pen, and if you mess up, click "clear" below the image. Important: Look through to make sure all the images have loaded. If they are not, refresh the page. This test is NOT designed to work on phones or tablets. Please look at the following examples for how you should draw on the maps. 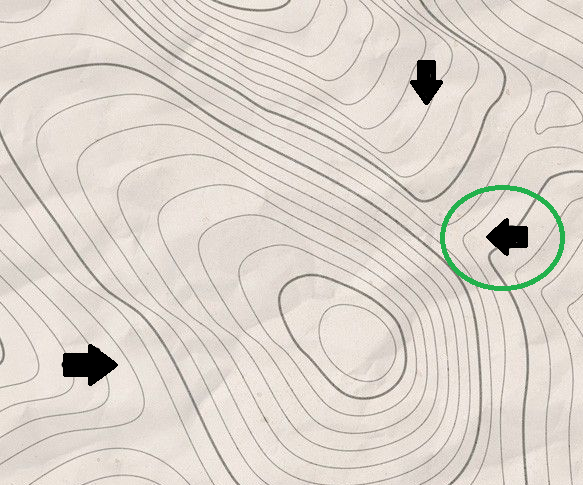 The first indicates that you can circle an arrow to answer a question of which direction you may be facing. The second photo shows how to answer questions that ask "Which direction would you move/which direction would the stream flow". Simply draw the arrow lines at the end of the line to indicate which direction. This website will validate answers using a machine learning algorithm. The arrows do not have to be perfect, but drawing them this way will help the algorithm to best determine if your answer is correct.